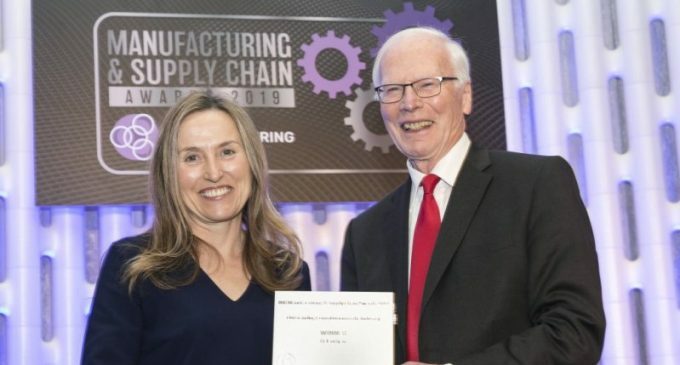 Former CEO and non-executive director of Creganna-Tactx Medical, Helen Ryan has been crowned the Outstanding Industry Contribution winner at this year’s IMR Manufacturing and Supply Chain Awards. 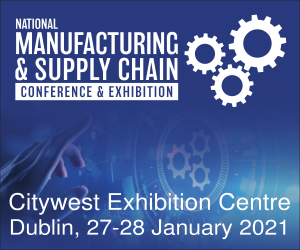 The event, which celebrates the finest in Irish manufacturing, took place at the Citywest Hotel Convention Centre on the evening of the 17th of January, following the record breaking National Manufacturing and Supply Chain Conference & Exhibition held earlier the same day. Unlike other awards ceremonies, the event recognised hard work, innovation and dedication to the industry. Female business leader, Galway woman Helen Ryan scooped the title for enabling Creganna-Tactx Medical to become one of the world’s top 10 medical device outsource providers. Her time as CEO ensured the company grew five-fold to become the largest indigenous medical device company in the world. Competition was fierce this year with hundreds of entries applying across 15 categories. Other winners included Java Republic who won Sustainable Manufacturer of the Year for boasting the world’s first purpose-built carbon-neutral roastery in the world. 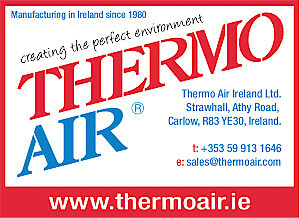 In addition to this, Intel were awarded ICT Manufacturing Team of the Year while Kerrygold Park won Food Manufacturing Team of the Year (for a full list of winners please see below). Innovative work, close collaboration and improvement to internal operations played a significant role in the decision-making process for judges this year. The 2019 panel included Eoin O’Driscoll, Chairman of Tyndall Institute; Barry Kennedy, Chief Executive of IMR; Caroline Spillane, Director General Engineers Ireland; Bob Barbour, Chief Executive Competitiveness Centre; Professor Eamon Murphy, University of Limerick; Dr Christopher Keely, Trinity College Dublin; and John Whelan, Chairman of Premier Publishing and Events. Helen Ryan receiving her award from John Whelan, Chairman of Premier Publishing and Events.